Belgravia: A London Magazine, a monthly, was set up in 1867 by M. E. Braddon and her partner, the publisher John Maxwell, and continued in various forms until 1899 (Onslow, pp.45–46). Launched in the nineteenth century’s golden middle period of economic self-confidence and conspicuous consumption, Belgravia was one of the great publishing successes of the eighteen sixties; offered as yet another illustrated rival to The Cornhill Magazine, Once a Week, The Argosy and Good Words, it aimed to win at least some of the bourgeois audiences for whom these periodicals were intended. Bound in an ostentatious wrapper and sold for a shilling and later presented in half-yearly volumes in an elaborated gilt binding, the title was designed to appeal to the aspirational. The use of ‘Belgravia’ implied membership of one of the wealthiest districts, while the deployment of ‘London’ (as in London Society) was an inclusive act of flattery which aligned its readers with a notion of sophisticated cosmopolitanism. The journal was directed, in other words, at consumers’ desire to engage with a form of cultural display; some described the title as cynical and tasteless, and the brazen choice of name was said to have been a lingering source of embarrassment for the editor and her publisher. Winning buyers of this sort of product was nevertheless a difficult task, and within this elitist pitch Braddon and Maxwell’s selling point was the magazine’s appeal to middle-class women. Braddon was its first editor or ‘conductor’ (1867–76), and her strategies to attract this target audience were ground-breaking. She offered the usual menu of ‘poetry, social satire and topical essays’ (Onslow, p.45) in direct competition with Once a Week, but she primarily addressed a female readership by presenting a series of sensational novels and short stories. Critics such as Margaret Oliphant (writing in Blackwood’s in 1867) had lamented the damaging effects of sensationalism on the minds of respectable women, but Braddon promoted the genre as an act of transgressive defiance – giving her female readers precisely the form that was supposed to be dangerous and corrupting. This provocative approach positioned the magazine in an unsettling and iconoclastic position: on the one hand it was directed at the ‘privileged space’ (Gabriele, p.29) occupied by bourgeois readers, and on the other it challenged the values of those who purchased it; as Alberto Gabriele comments, it endorsed ‘the trappings and views of [the middle classes] while deconstructing [their social] dominance’ (p.29). This process was notably facilitated by Braddon’s showcasing of her own novels. Dead Sea Fruit, The Lovels of Arden, To the Bitter End and Milly Darrell made their first appearance in its pages, and these vertiginous fictions, with their attempts to rattle the ‘nerves’ and suggest an alternative morality, were matched by a variety of other contributions in the same vein. Belgravia became the prime magazine for sensational material in competition with The Argosy, and was viewed by many as either salacious and threatening or lowbrow and vulgar. As Braddon and Maxwell had intended, it was sold as a guilty secret – flavoured with the allure of taboo – while retaining the outward appearance, or at least some pretence, of respectability. As Oscar Wilde later remarked, the only way to deal with a temptation is to yield to it: this was the proprietors’ gamble. Somewhat paradoxically, Braddon was also concerned with the promotion of sensationalism as a genre worthy of serious consideration. 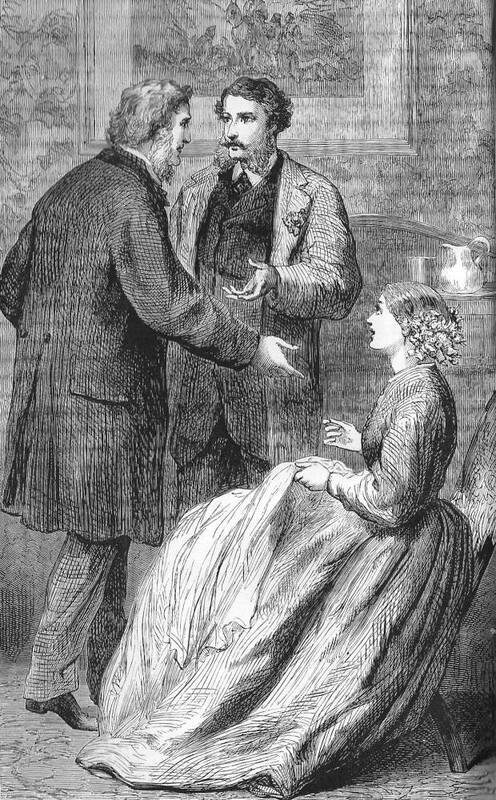 The presentation of fictions such as Dead Fruit (1867–68) in the same format as Anthony Trollope’s Framley Parsonage in The Cornhill Magazine was a means of asserting their equivalence, but the editor also included commentaries and notices which extolled the virtues of sensationalism. Most notable is George Augustus Sala’s ‘On the “Sensational” in Literature and Art’ (Belgravia, 4, 1868: pp.449–458). Sala’s famous essay is a lucid exposition of the genre across all art forms and comes to a startling conclusion: we need the sensational because it is life-enhancing, the voice of a vivid modernity which is ‘nervous, and forcible, and graphic, and true’ (p.457), a defence, in the words of Pope, against deadening ‘Dulness’ (p.458). Driven forward by this aesthetic, Belgravia of the 1860s is an important document which aims to legitimize what was only regarded at the time as a passing craze. It is also a sophisticated piece of publishing in which the first editor uses her periodical for multiple purposes, some predicated on the need to sell copy and some on the desire for personal utterance. Like Once a Week (which was largely the expression of Samuel Lucas’s ideas) and Good Words (Macleod and Guthrie’s), Braddon’s paper is a mass-publication which seems like the product of one mind. Her controlling influence is best explained by Jennifer Phegley, who notes how the conductor “created a family literary magazine that would attract a broad middle-class audience, advance her career, and keep her at the forefront of the critical controversy surrounding sensation fiction” (113). In this sense it occupies what Phegley describes as a ‘crucial role … in the development of Braddon’s literary philosophy and reputation (pp.111–112). Jennifer Carnell is more sceptical of this reading (p.173), pointing out that most of the fundamental editorial work was done by her term of colleagues; but the overall shape and direction of the magazine is undoubtedly Braddon’s work. Her personal approach helped to advance the magazine in much the same way as George Smith created an identity for The Cornhill Magazine by controlling its moral and aesthetic content. Belgravia was certainly a hit in its earlier years, and Braddon and Maxwell did their best to make it into a financial success. The launch in 1867 was heavily promoted with an elaborate dinner for contributors and the press, followed by intense advertising. This brought dividends. In 1868 the journal achieved a strong circulation of 18,000 issues, appearing in reviews as a talking point and outstripping its immediate rivals. It noticeably achieved higher sales than The Argosy, where Ellen Wood had taken over as editor and would go on to use the periodical for the publication of her own version of sensationalism. But success was short-lived. Following the journal’s initial popularity its circulation declined, and in 1876 Braddon and Maxwell sold it to Chatto and Co. By the eighties sales had reduced to 15,000 and continued to diminish until the magazine was wound up in 1899 following another take-over by F. W. White and Co. in 1889. At the same time it is important to note that during this period of decline the journal continued to enjoy considerable popularity and contained a great deal of high quality material. The first editor had promoted her own brand of sensationalism, and in the 1870s Andrew Chatto used the periodical as an arena for a number of significant writers who translated the genre into their own terms. Thomas Hardy’s The Return of the Native appeared in 1878 with illustrations by Arthur Hopkins following its rejection from The Cornhill Magazine, and Wilkie Collins placed The Haunted Hotel, again with illustrations by Hopkins, in the same year. These and other fictions of comparable status were effective in regaining some of the lost ground, changing the magazine from a miscellany in imitation of Once a Week into a ‘serious’ literary journal – the task originally set, but only partially achieved, by its first editor. None of this was enduring, however. By the end of the nineties Belgravia had been entirely superseded by avant-garde periodicals such as The Savoy and The Yellow Book, while also yielding to the populist Strand Magazine and others of a slightly off-centre persuasion. Belgravia was launched as a challenge to The Cornhill Magazine and reproduced its format, with full-page wood-engravings to illustrate the serialized fiction, present the journal a site of visual pleasure, and entertain the family by the fire-side. Visual impact was an important part of promoting the illustrated periodicals of the 1860s, and Belgravia operated within a well-defined convention. Yet the overall effect is quite unlike the visual textures of The Cornhill Magazine, Good Words or Once a Week. Put bluntly, the Belgravia illustrations are clearly the products of inferior hands; Braddon had limited financial resources and in contrast to George Smith, the publisher of The Cornhill, could only afford what her funds would allow. Instead of artists such as J. E. Millais, George Du Maurier, Fred Walker and Frederic Leighton, she had to commission the lesser names of J. A. Pasquier, R. P. Leitch, M. E. Edwards, Thomas Beech and the Frenchman Louis Huard; these designers’ illustrations do not (and could not) compare with the visual poetry of Millais, the elegant contemporaneity of Du Maurier, or the timeless antiquarianism of Leighton. What they do provide, however, is an efficient representation of the magazine’s sensational writings. These ‘sensational illustrations’ lack sophistication, but they do act as a means to arrest and focus the reader/viewer’s attention. This partly achieved in the form of dramatic tableaux which heighten the writer’s emphasis on confrontations, emotional extremes and moments of revelation and surprise. In Louis Huard’s treatment of Braddon’s Dead Fruit (1867–68) the focus is almost entirely on these crises, usually in the form, as in Eustace and Uncle Dan and Miss St Albans, of characters ‘frozen’ into melodramatic attitudes. Huard concentrates on hand gestures and telling looks, and his mechanical draughtsmanship (unintentionally) stresses the artificiality of Braddon’s characters, whom he re-figures as puppets or actors on the melodramatic stage. More accomplished are Mary Ellen Edwards’s designs for Braddon’s Birds of Prey (1867–68). These lyrical images recall Millais’s illustrations for Trollope’s Framley Parsonage and The Small House at Allington in The Cornhill Magazine, and it is not surprising to find that Edwards illustrated Trollope’s The Claverings in the same magazine in 1866–67. Her interpretation of Birds of Prey follows the same pattern as Huard’s, but is far more delicate and insightful, converting Braddon’s characters into people of sensational emotions who still exist in a recognizable world. A typical example is Diana Paget and Charlotte Halliday, a scene of intense feeling which adds a psychological dimension to Braddon’s functional prose. Edwards (or ‘MEE’, as she signed herself), is the prime talent at work in Belgravia. Others provide a series of lurid and excessive designs that are clearly intended to impress the viewer. Some are journalistic in their representation of contemporary costumes and urban settings, an approach favoured by Alfred Thompson and Edward Radford; of limited artistic value, these designs are important, nevertheless, as a means of appealing to the magazine’s metropolitan readership. The impact is heightened, moreover, by the relative crudity of the engraving. The representation of facial features is often coarse and imprecise, and many of the illustrations are dark and heavily blocked. None of these compares to the finesse demonstrated by the Dalziels in Good Words, Swain at Once a Week and William Linton and the Dalziels at The Cornhill Magazine; though cut by Thompson (another distinguished engraver), they seem over-simplified in the manner of a poster rather than literary illustrations. Braddon no doubt did the best she could with limited resources, but with the sole exception of Edwards’s work the magazine falls well short of the excellence achieved by its rivals. Rather more interesting were Andrew Chatto’s efforts in the 1870s. Chatto procured Arthur Hopkins as the illustrator of Wilkie Collins’s The Haunted Hotel and Thomas Hardy’s The Return of the Native. The first of these is sensational in the traditional manner, with violent attitudinising and over-expressive faces; the second, by contrast, is an interesting visual response with many telling inflections which expand the meaning of Hardy’s text (and are charted in Philip Allingham’s detailed commentaries). Judge in terms of its visual content, Belgravia could only be described as a magazine of secondary quality. It sets out to impress and engage its reader/viewers and it does so with great vitality. What it lacks in finesse it tries to make up in energy and outspokenness; never in the same league as The Cornhill, Once and Week and Good Words, but important as a reflection of changes in taste and the role of entrepreneurial publishing, it occupies a fascinating niche in mid-Victorian culture. Argosy, The. London: Strahan, 1866–69. Belgravia. Conducted by M. E. Braddon. London: [Maxwell; address but no British publisher given], 1867–76; London: Chatto, 1876–89; London: White, 1889–90. Carnell, Jennifer. The Literary Lives of M.E. Braddon. Hastings: The Sensation Press, 2000. Cornhill Magazine, The. London: Smith, Elder, 1860–70. Gabriele, Alberto. 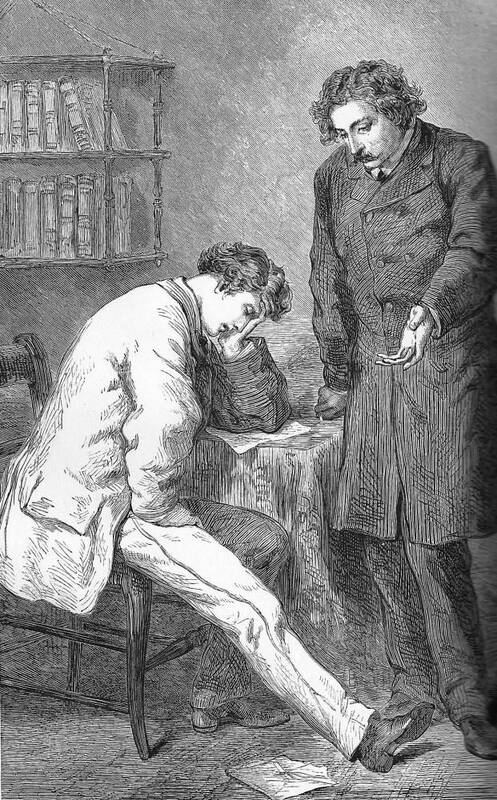 Reading Popular Culture in Victorian Print: Belgravia and Sensationalism. New York: Palgrave Macmillan, 2009. Good Words. London: Strahan, 1860–70. Once a Week. London: Bradbury & Evans, 1859–70. Onslow, Barbara. ‘Belgravia’. Dictionary of Nineteenth Century Journalism in Great Britain and Ireland. Ed. Laura Brake. London: The British Library, 2009, pp. 45–46. Phelgley, Jennifer. Educating the Proper Woman Reader. Ohio: Ohio University Press, 2004.